Welcome to WSG #342! All PencilJack Members can participate in the weekly sketch group simply by posting a sketch, drawing, or painted-study of one of the topics below. If you don't like the topics, PM me with a topic you'd like to draw next week in the Sketch Group, and I will try to include it there ! 1. The Hobbit and J.R.R. Tolkien are big this week with a new movie in wide release. So lets draw some of the characters of High Fantasy this week. Draw a Bilbo Baggins, Gandalf, Saruman the White, Smaug the Dragon, a motley band of Dwarves or a warrior Elf! If you like Orcs draw those, or any other High-Fantasy creature or character that you like this week! 4. Set the timer for 10 minutes and attempt to draw the following scene. Your area of main concentration should be the action of the figures in the foreground. Attempt to capture the overall pose and then concentrate on things like proportion and details. An indication of the persepctive of the background is also essential. Ready? Get set! Speed Draw! @ D.C.: Love the girl in your caricature drawing, the exaggeration is just excellent. 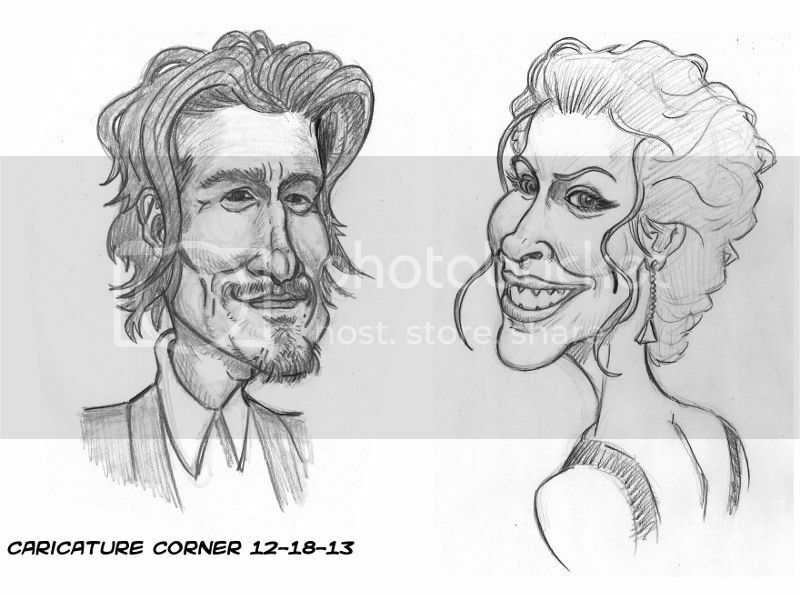 @D.C.: Great job on the caricature! 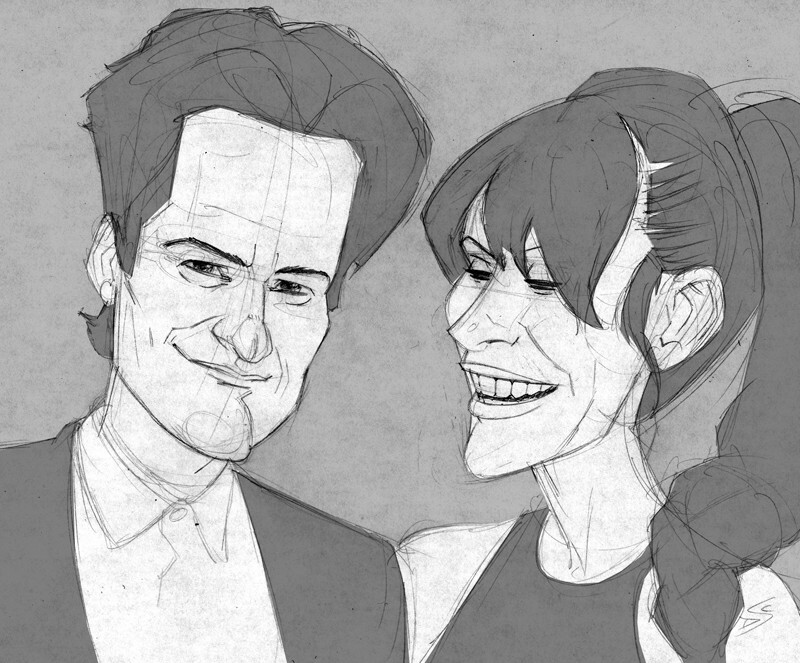 You really captured both likenesses very well! 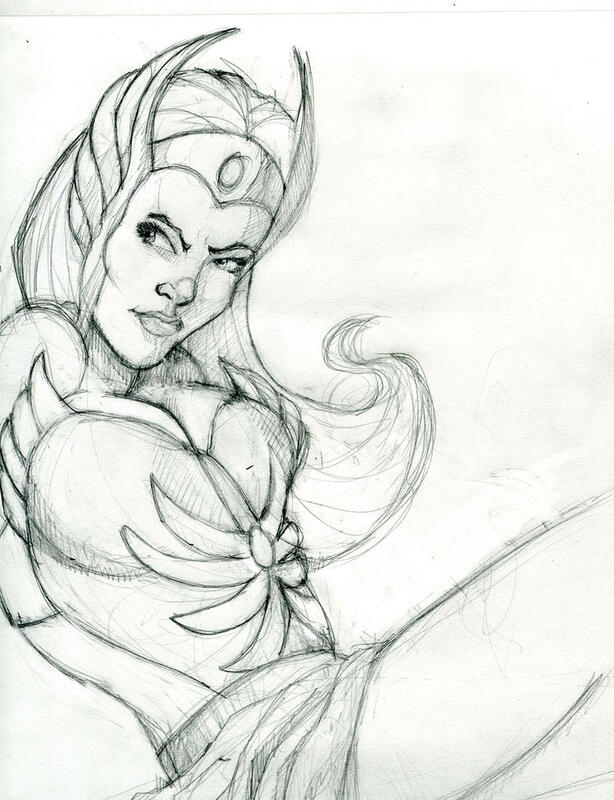 @Selkirk: Nice job on your MOTU sketch! Last edited by GullyFoyle; 12-17-2013, 02:45 PM. Last edited by Selkirk; 12-17-2013, 05:21 PM. 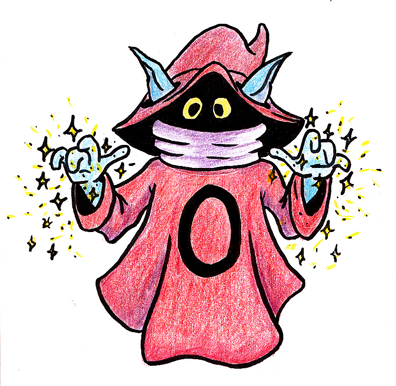 @GullyFoyle: Nice job on the MOTU drawing, I like the colored pencils! 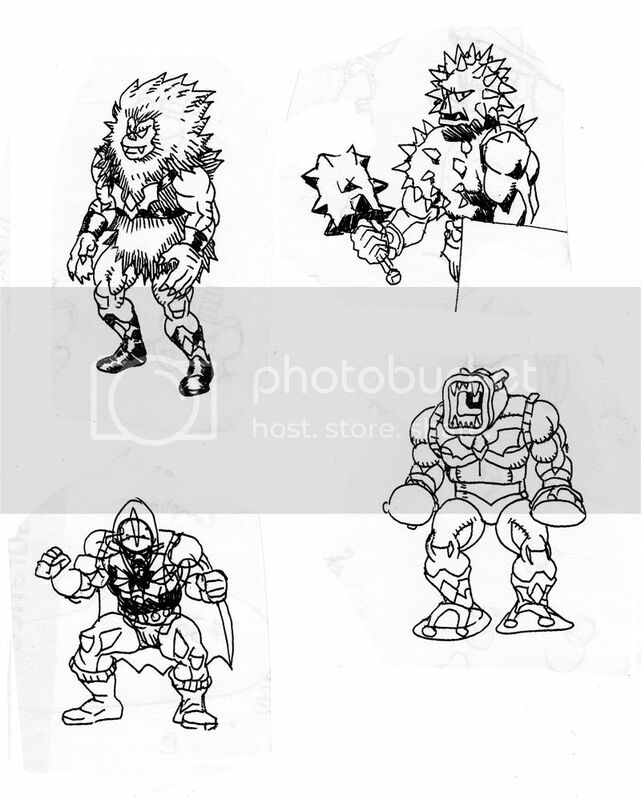 @Dan3k: I like the MOTU sketches, these are interesting poses! 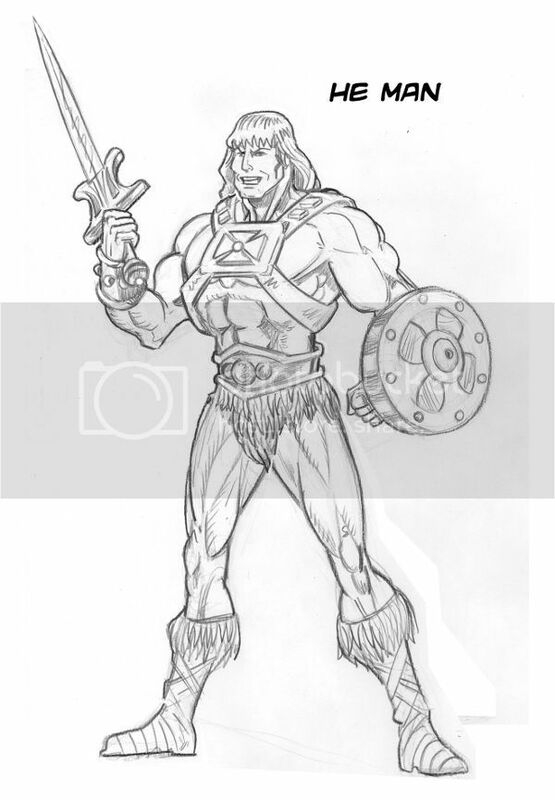 @Selkirk: Good job on more MOTU sketches, I like the sense of movement! @InkDrop: Nice LOTR sketch! Lots of character in that face. Hurray for a single figure WSG!